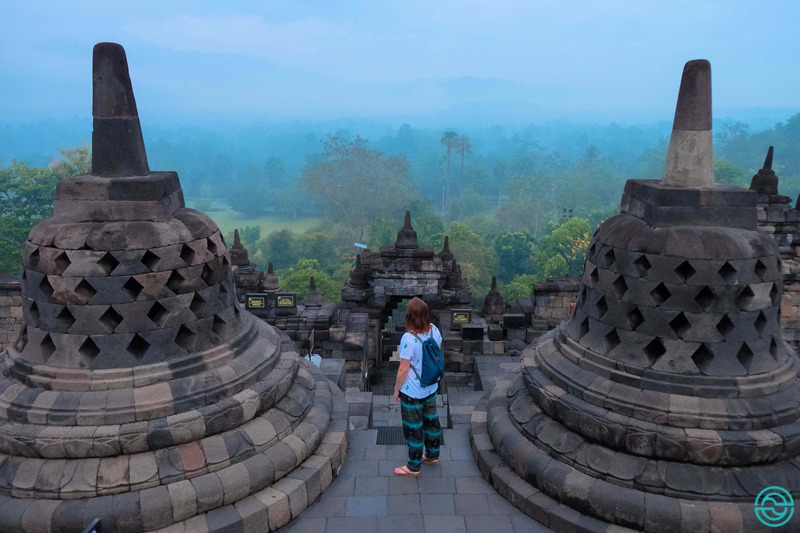 When I started planning my last trip to Java, I thought that Yogyakarta was a city I wanted to visit. 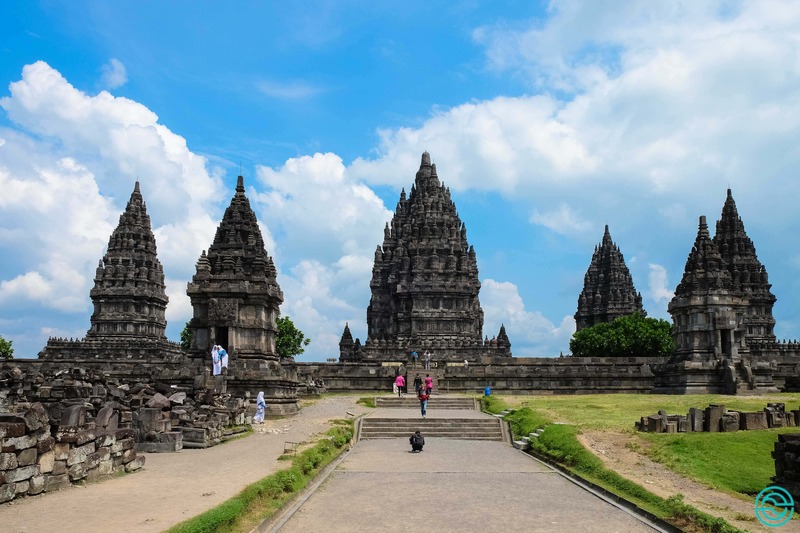 In all places, I read that this was the cultural capital of the island and it was also there that I could find some of the most magnificent temples in all of Indonesia and even the world. Our time in Yogyakarta would be short. Enough to go to the temples and then head for the coast, towards the surf. So we chose to stay downtown, lodged at the Delta Homestay. But on this stay, I will speak better in another post. 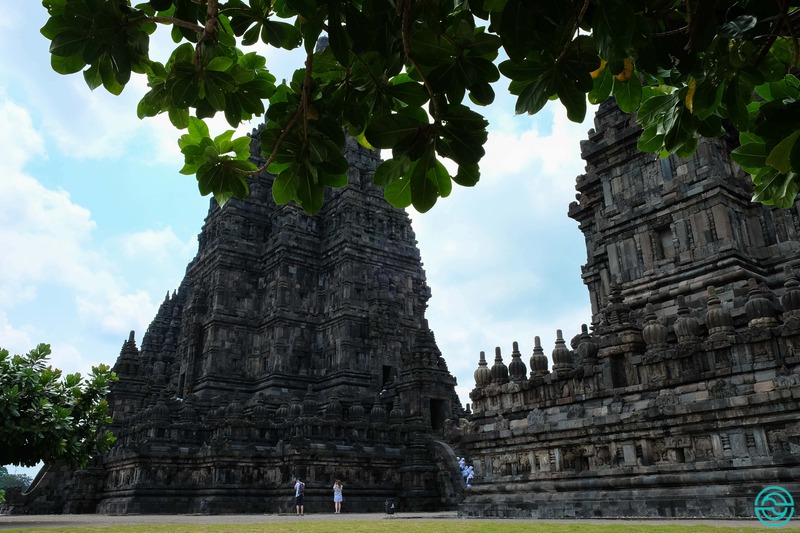 It was here, while we were checking in, that we booked our tour to the temples: first, Borobudur, to see the sunrise, and then Prambanan. 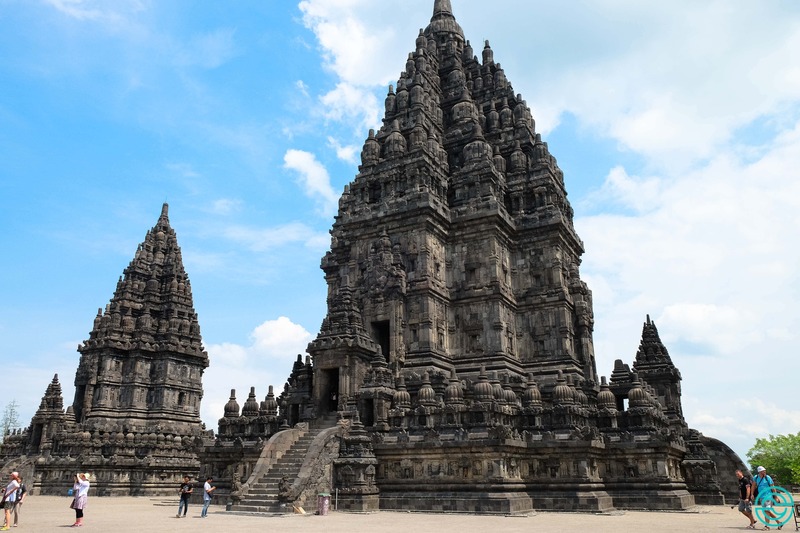 The tour cost us 975,000 rupees (65 euros), with transportation, the entry ticket in each temple and a breakfast that we would take with us to eat by the temple. 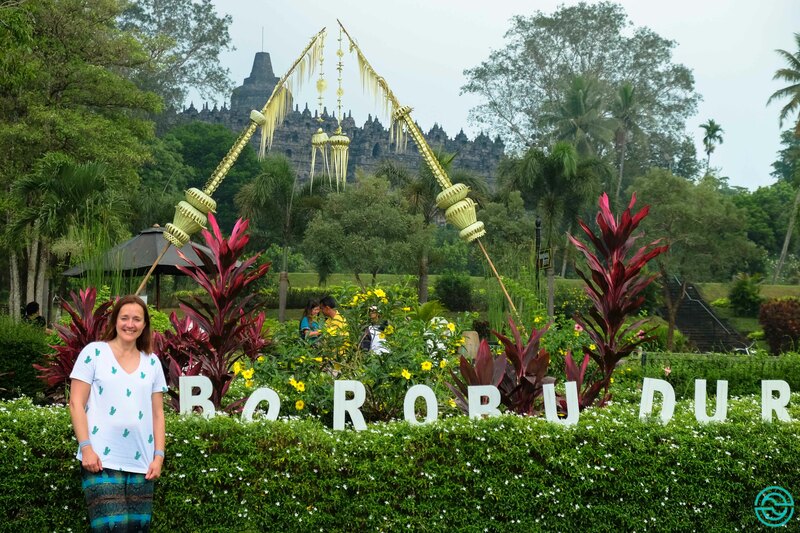 It should be noted that we had arrived from a nearly 18-hour trip and that the jet-leg was making its way when the alarm clock rang at 3:30 a.m. We had to be at the reception at 4:00 a.m. to leave for Borobudur. After all, the sun began to peek around 5:30 a.m. and the Yogyakarta road there still took about 1:00. I came to find that we had to make other stops to catch more tourists. Our guide/driver seemed to go against the clock. 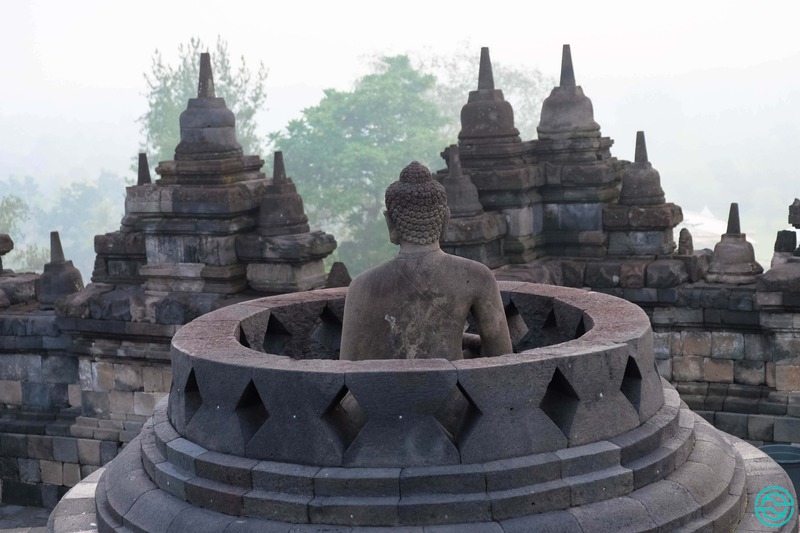 After all, we had all paid to see the sunrise on Borobudur and he couldn’t afford to fail. 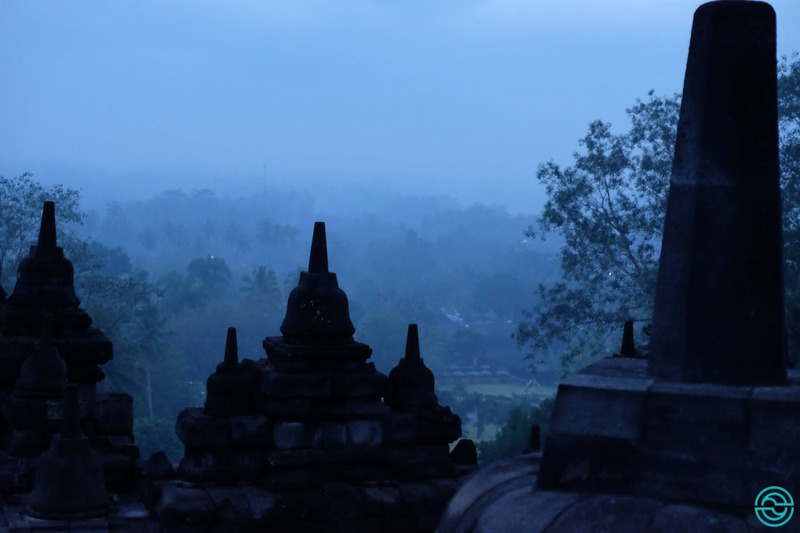 The black of the night was still around us when we reached Borobudur. The sunrise program is a special package, held with the hotel that is already within the perimeter of the monument. Therefore, the entrance is private, through the hotel unit, with the ticket office and normal entrance still closed. Ready to go upstairs, they handed us a flashlight and a sticker to put on our chest, to distinguish us from the visitors who would enter the normal way when the monument opened to the public. A sticker that I lost! … so typical! 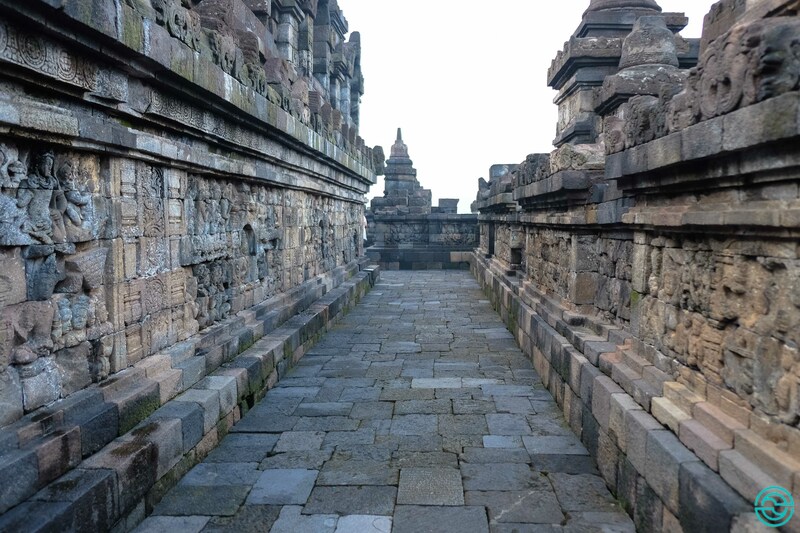 The photos I had seen on the Internet of sunrise in Borobudur were what attracted me to make this visit. A place of great magnificence, wrapped in morning mist and with the sun ripping through the natural landscape surrounding the temple. However, the last days had been rainy in Yogyakarta, and being in mountain weather, there was no guarantee that there was sunshine to be born. I didn’t saw the images I was looking for. It didn’t rain but the clouds didn’t allow the sunrise that I craved for. Still, the scenario I found was amazing! Despite this, it was a magical experience that I recommend to those who have doubts about embarking on one of these programs. 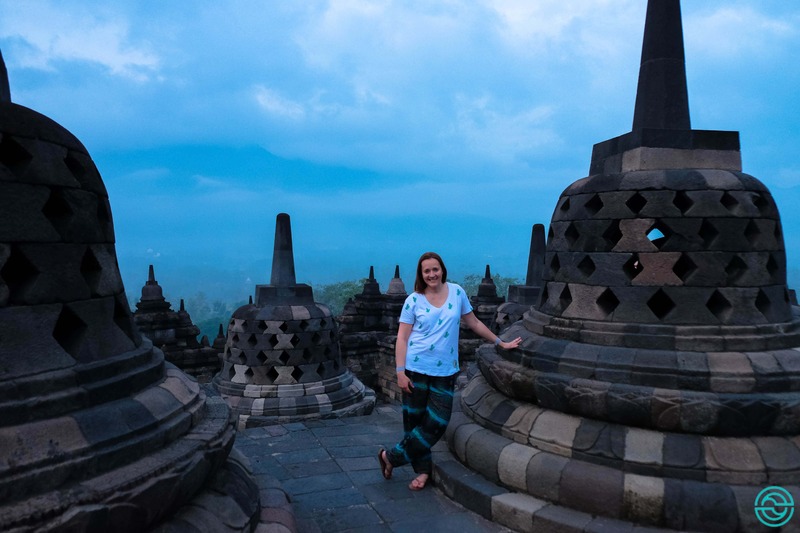 Borobudur is a truly amazing monument. The monument was discovered by the British in 1814, having taken 20 years for the entire area of the temple to be cleared. 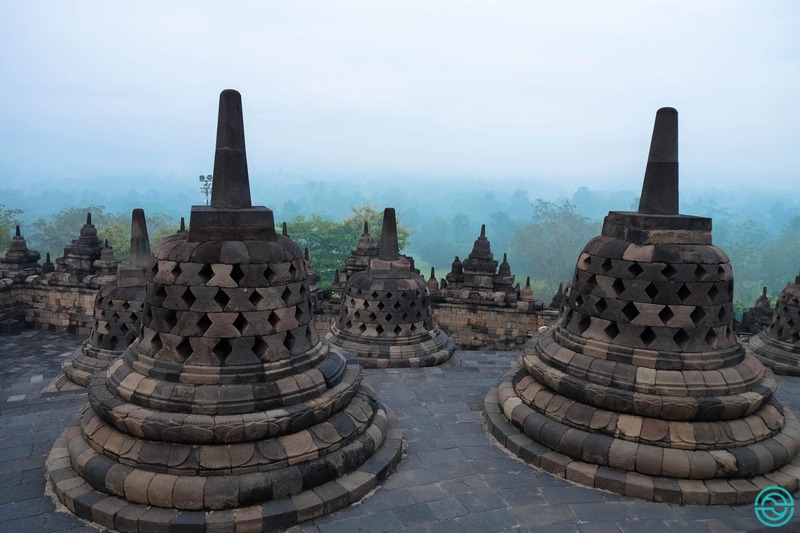 Borobudur was built in the style of Mandala, which symbolizes the universe in Buddhist teaching. A square-shaped structure with four entry points and a circular center point. Here are represented, from the outside towards the interior, three zones of consciousness, with the central sphere symbolizing the unconsciousness or Nirvana. We had until 10:00 a.m. to visit the place, to see all the nooks and crannies, the thousands of figures carved in the stone of the various levels and to peer into the domes that hide the statues of the Buddha. We asked a guide why there were some who had no head. Unfortunately, they had been the target of vandalism, theft for later sale to tourists and collectors who aren’t convinced that there’s heritage that belongs to everyone and not just some privileged. 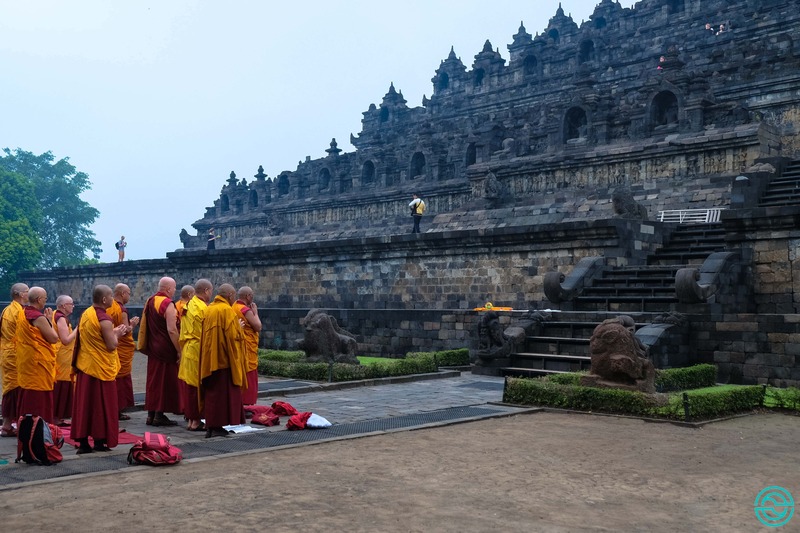 Another highlight was a pilgrimage of Buddhist monks who fulfilled the tradition, praying along each side of that pyramid, making offerings and at the same time providing a mystical moment to those who passed by. 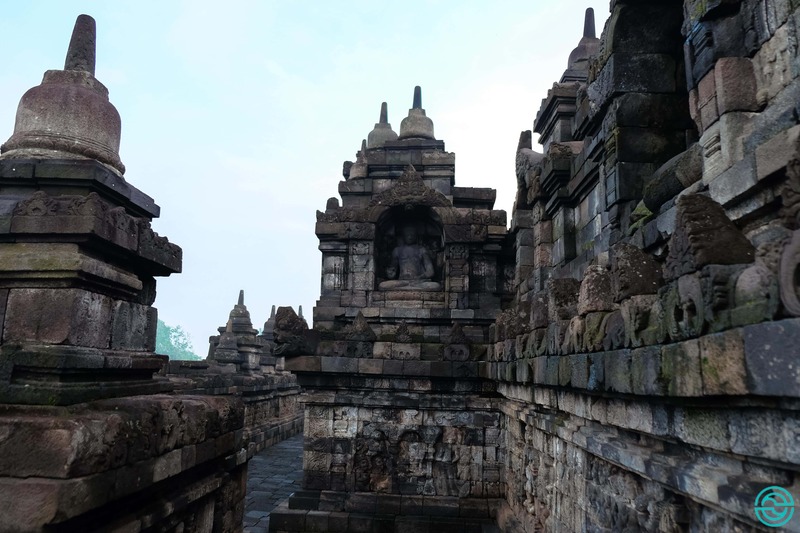 It’s said that Borobudur should be visited at least once in the life of a monk. It was this monks time and we were having the privilege of being able to watch. After our visit, the meeting point with our guide and the other guests was the hotel terrace where we were able to have the breakfast we had brought and even drink a coffee or tea from the hotel itself with nothing being charged. 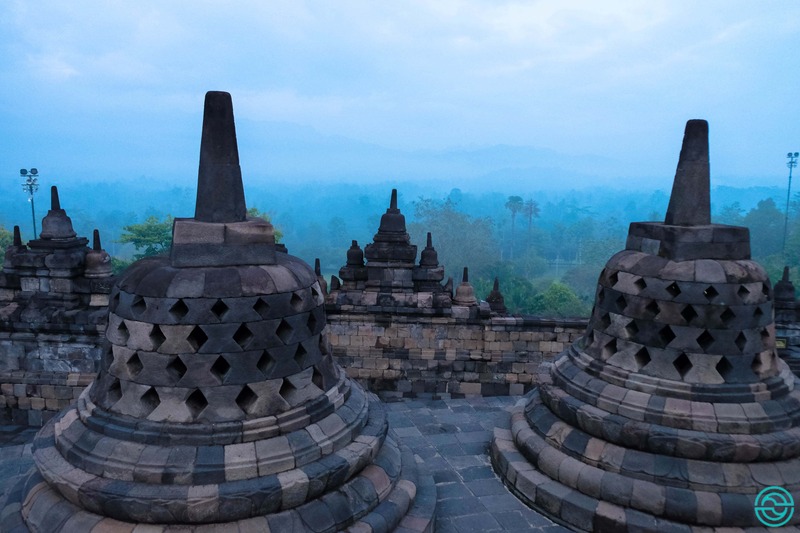 And let me say that it’s not every day that we can take breakfast looking over Borobudur. 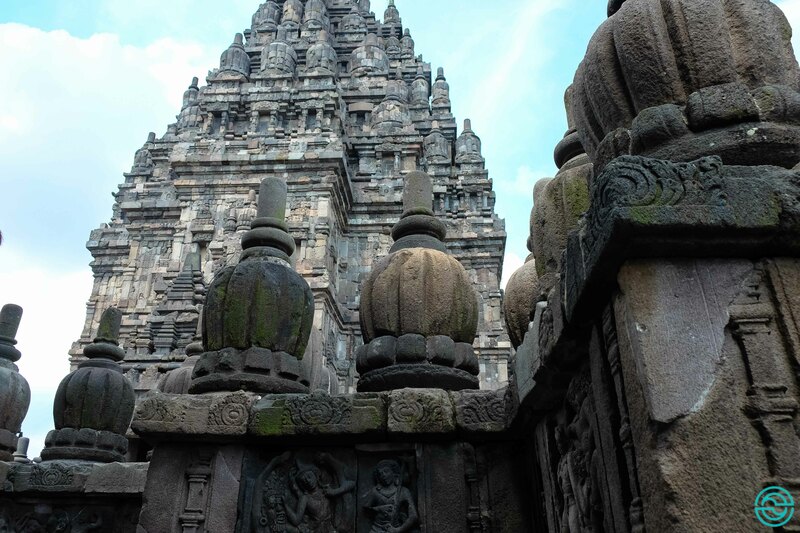 There were many readers who accompanied my visit to Prambanan in social media and they told me that the monument was very similar to Angkor Wat in Cambodia. Without a comparison, since I haven’t yet visited Cambodia, I can say that this was one of the most incredible Hindu temples I have ever visited. 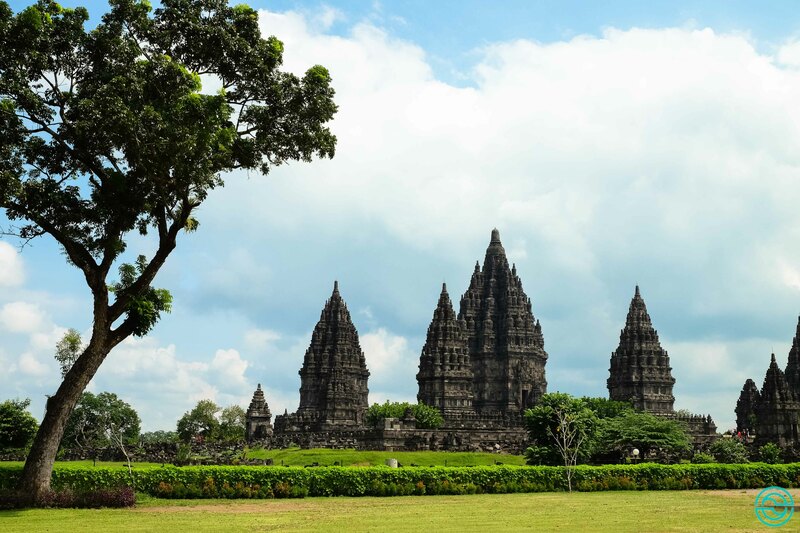 Built in the 9th century, Prambanan is the largest Hindu temple complex in Indonesia, with three main structures dedicated to Shiva, the destroyer of the universe; Vishnu, the guardian of the universe; And Brahma, the creator of the universe. 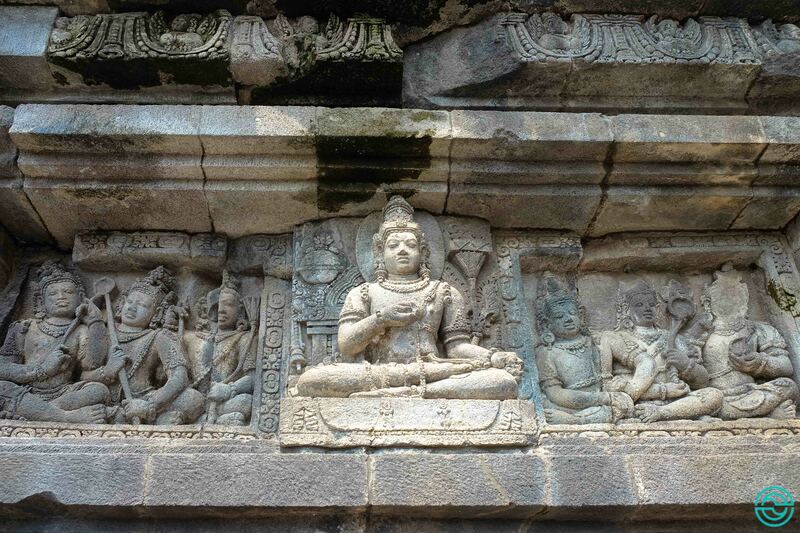 It was amazing to discover every one of those temples, all the details and works there. And because this really is one of the most visited temples on the island of Java, we were accompanied by groups of students who gently approached the tourists and asked to interview them for the school, possibly for the English course, since the conversation, spread over all the young students and filmed for posterity or to present in the classroom, was done in arduous English. For me, an incredible privilege! Even though I was interviewed 6 (!) times. The visit ended at around 12.30 p.m. and at a good time, since the heat was already unbearable. I have read in several articles that visiting the two temples on the same day can be strenuous. In my case, it was totally doable. Even though I was already feeling tired, it was all so new and incredible that I couldn’t even remember the hours I had been walking or going up and down stairs. I found the visit to Sigiriya in Sri Lanka much more demanding. 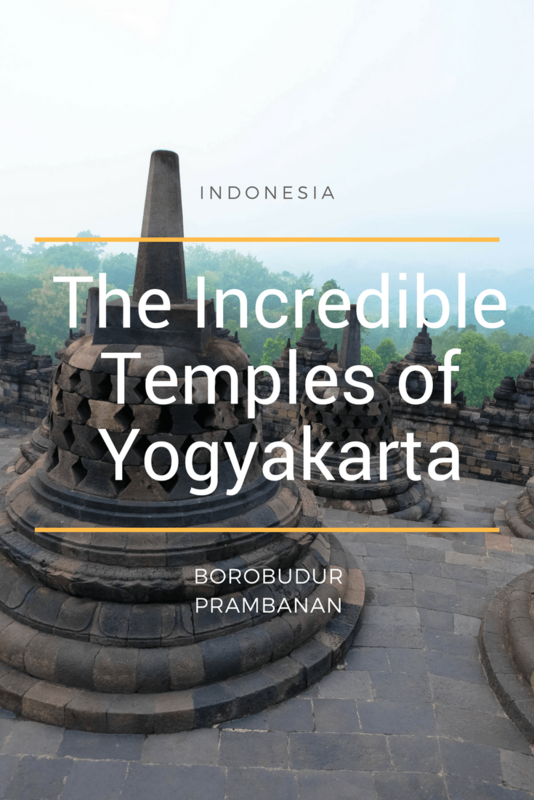 However, if you are thinking of staying more days in Yogyakarta, visiting the temples on separate days may be a good option. Liked the Post? Pin it! Now is your turn! Ask questions or leave your opinion in the comments box below. I’ll be happy to answer back. Hi, Raianna. 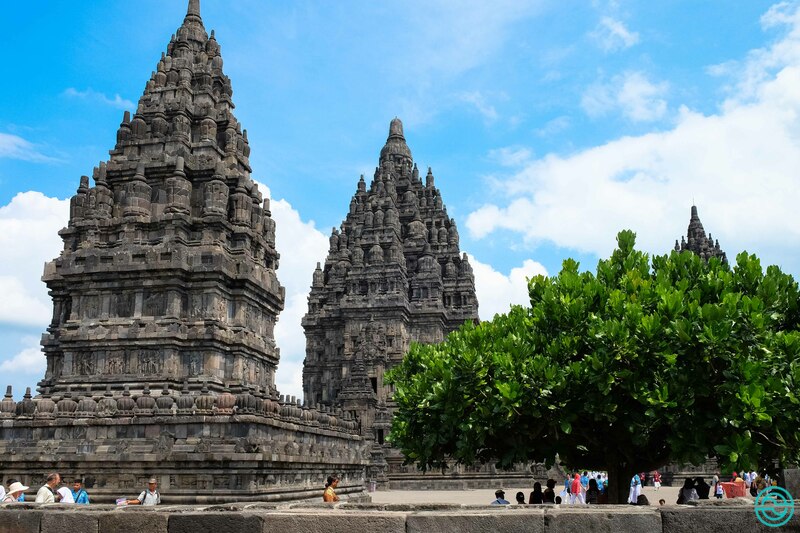 I’ve booked my trip with my homestay in Yogyakarta. They worked with local tour companies and I booked through them. Ask the place where you’re going to stay if they organize tours or if they do the booking with local guides. If not, they surely will tell you where you can do it. I wish you a lovely trip!! Let me know if you enjoyed the temples. 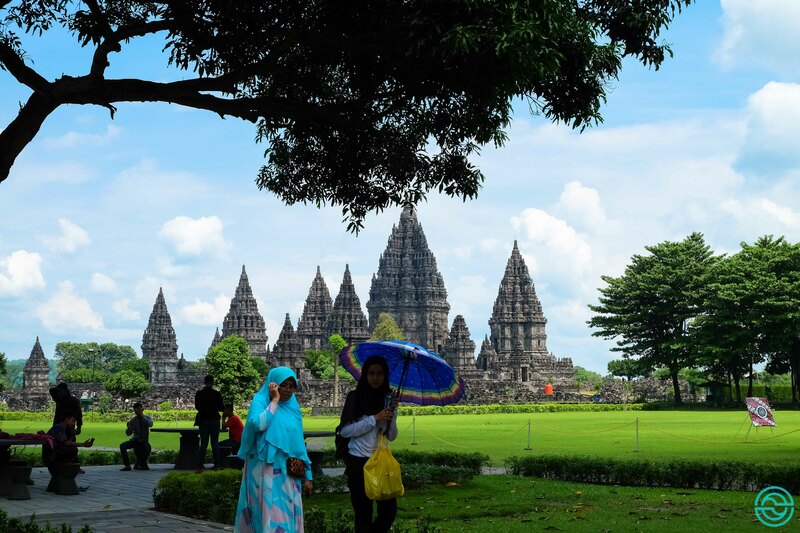 Lovely blog page of YogYa, do u have any recommendations for a tour guide? Hi, Ramya! Thank you so much for your comment. To be honest I didn’t use any tour guide. We just scheduled the trip and went exploring for ourselves once in the temples. 🙂 Sorry I can’t help you more with your question. Thanks again and keep on traveling!